LexisNexis® Intellectual Property Law Center Podcast featuring Dan McDonald of Merchant & Gould on In re: Bilski, Published on Apr 28, 2009 in Politics. Speaker, Patent reexams and litigation from accused infringer prospective, various forums. 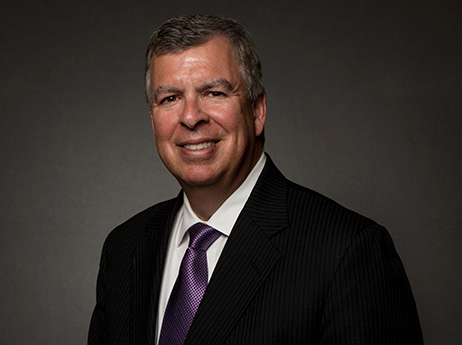 Dan McDonald has over 30 years of experience litigating and trying intellectual property cases concerning patents, copyrights, trademarks, trade dress and trade secrets. His technical background in engineering bodes well for his clients, who have ranged from individual inventors to Fortune 500 companies to the British Post Office. Although he focuses his practice on the electronics, software, and internet industries, Dan has also handled a broad spectrum of technologies such as digital imaging, telecommunications, apparel, housewares, aerospace, printing, and materials handling. 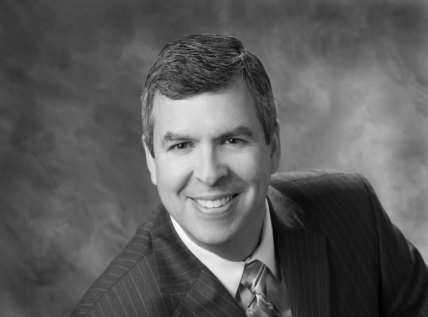 Dan brings the depth and breadth of knowledge and reason that only decades of practicing law and trying cases can accomplish. 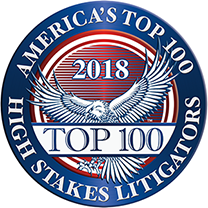 His client wins include securing multi-million dollar judgments and awards, securing expedited injunctive relief, obtaining an “exceptional” case finding after trying a patent case to verdict, punitive damages, and awards of attorneys’ fees for both plaintiffs and defendants. He is comfortable both in court and before the U.S. Patent and Trademark Office in contested proceedings. Dependable and creative, Dan is a skilled leader who focuses on ultimate goals and desired results. Colleagues call him prepared and someone who doesn’t take guff from anyone. Coworkers say he encourages a collaborative atmosphere and enables his teams to excel. He values diverse teams to better evaluate issues from all angles and think of innovative solutions. An ardent supporter of the University of Minnesota, Dan has been a regular volunteer for decades. 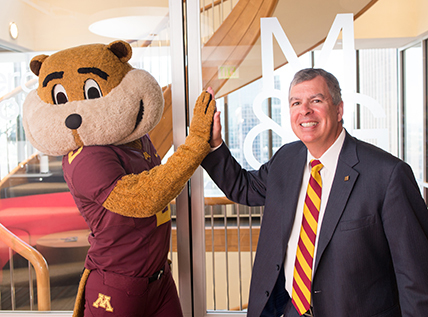 He serves as Past Chair of the University of Minnesota Alumni Association (UMAA) Board of Directors, where he helped set the strategic direction of the UMAA. He continues to advocate for and represent the UMAA and the University in a number of settings. 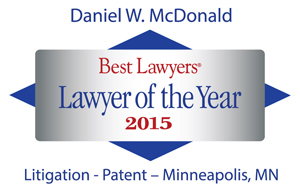 A few highlights among Dan’s career awards include Best Lawyer’s 2015 Lawyer of the Year for Patent Litigation in Minneapolis ­­and Minnesota Lawyer’s 2015 Attorney of the Year. 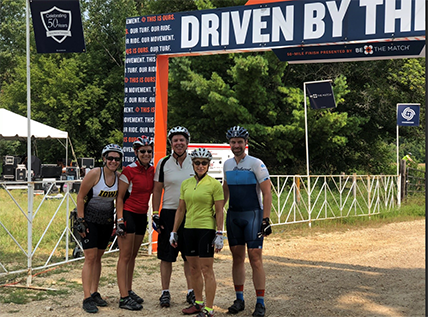 He has been recognized by Chambers USA as one of the leading individuals in intellectual property litigation in Minnesota, and he is also a longtime Minnesota Law & Politics Super Lawyer. Dan and his wife are emerging empty nesters who enjoy travel, bicycling, and glass art. 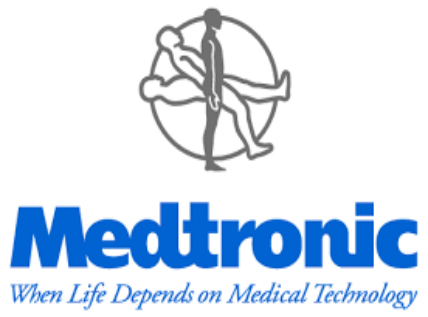 Cardiocom, LLC (now Medtronic Care Management Services, LLC) v. Robert Bosch Healthcare Systems, Inc. Lead trial counsel on litigations, reexaminations, and Inter Partes Review Proceedings brought at the Patent Trial and Appeal Board (PTAB) on behalf of a company accused by Bosch Healthcare of infringing 12 patents related to remote health care monitoring systems. Following institution proceedings and trials regarding four patents, the PTAB found all claims in three patents invalid and all claims at issue in the fourth patent invalid. PTAB IPR2013-00431, -00449, 000451, -00468). Several other proceedings were brought at the Patent and Trademark Office challenging the 12 patents asserted. After motions were granted to stay the lawsuits pending PTO proceedings, all patents were canceled in whole or at least with respect to all asserted claims. Confidential settlement reached resulting in dismissal of all lawsuits. Robert Bosch Healthcare Sys., Inc. v. Cardiocom, LLC, No. 12-3864, Dkt. 43 (N.D. Cal. Dec. 3, 2012). Robert Bosch Healthcare Sys., Inc. v. Cardiocom, LLC, No. 14-1575, Dkt. 51 (E.D. Tex. Mar. 10, 2014); Robert Bosch Healthcare Sys., Inc. v. Cardiocom, LLC, No. 14­1575, Dkt. 145 (N.D. Cal. July 3, 2014). 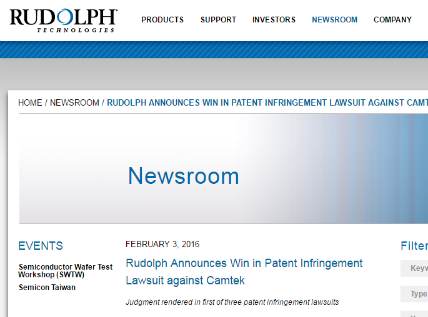 Rudolph Technologies Inc. v. Camtek, Ltd., Civil No. 05-1396 (D. Minn.) 2015 U.S. Dist. LEXIS 15017 (D. Minn. Feb. 9, 2015) (Judges Davis and Tunheim). Lead counsel for plaintiff, a semiconductor inspection system manufacturer and owner of U.S. Patent No. 6,826,298. Summary judgment of infringement granted, injunction issued, and $14.5 million judgment for lost profits damages and interest entered. Affirmed without opinion by the Court of Appeals for the Federal Circuit. After a month-long trial, a jury found in favor of the client on infringement, validity, and prior art issues, and awarded lost profits of $6.8 million. The court also entered a permanent injunction. After trial, the Federal Circuit initially affirmed the findings of patent validity and enforceability and remanded for a limited retrial due to a claim construction issue, resulting in summary judgment in the client’s favor and the $14.5 million affirmed judgment described above. A copy of the transcript of the oral argument in the appeal before the CAFC is available here. Cooper Notification Inc. v. Federal Signal et al., No. 2012-1615, 2013 WL 4611752 (Fed. Cir. Aug. 30, 2013) (D. Del. Judge Stark). Lead counsel for defendant Federal Signal which, along with three other companies including Twitter, was sued by Cooper Notification for allegedly infringing a communications system patent. 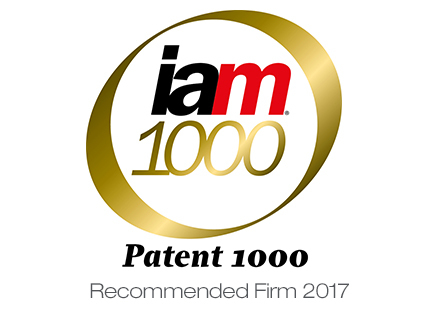 We challenged the validity of the patent through reexamination. The reexam provided a springboard to a claim construction that McDonald used to prevail on summary judgment of noninfringement as to the remaining claims. The plaintiff appealed the summary judgment and the dismissal. The Federal Circuit ruled in favor of McDonald’s client, and affirmed all aspects of the summary judgment and dismissal of the claims. Integrated Tech. Corp. v. Rudolph Techs., Inc., 734 F.3d 1352 (Fed. Cir. 2013) (D. Az. Judge Silver). 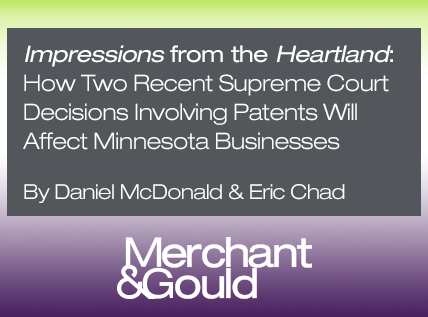 After one product Rudolph sold was found to infringe on summary judgment, and shortly before trial, McDonald and his team from Merchant & Gould were asked to substitute as counsel and try the issues that remained as well as handle any appeals. While the case initially resulted in a jury verdict finding of willful infringement under the doctrine of equivalents, Rudolph scored important wins at trial including no literal infringement. McDonald led the trial team and also successfully argued the appeal challenging the infringement findings. Rudolph prevailed on virtually all issues raised on appeal, where the CAFC reversed the jury findings of infringement and willful infringement, and vacated the treble damages award. ePlus, Inc. v Lawson Software, 764 F. Supp.2d 807 (E.D. Va. 2011) (Judge Payne). Lead trial counsel for the defendant, a business software provider. The plaintiff owned patents involving electronic commerce, and had collected about $60 million from other software companies, following two previous jury trials. The case was tried to a jury in the "rocket docket" of the Eastern District of Virginia federal court. The jury returned a split verdict on infringement. Importantly, $0 damages were awarded as the result of sanctions against the plaintiff (see above cite). Lawson was later acquired by Infor, which then hired its own counsel. Decisions by the Federal Circuit Court of Appeals affirmed the award of no damages, and otherwise were favorable to Lawson/Infor. For Your Ease Only, Inc v. Calgon Carbon Corp. et al (No. 07-4034, 7th Cir. March 31, 2009) McDonald is lead trial counsel for For Your Ease Only, Inc. (FYEO), whose president is Lori Greiner, a “shark” on the ABC-TV show Shark Tank. Greiner, known as the “Queen of QVC,” created anti-tarnish jewelry boxes successfully sold on QVC. FYEO countersued competitors Calgon Carbon Corp., Product Concepts Company (PCC), and Mark Schneider for tortious interference with business relations arising from the defendants' false assertions of patent infringement. The patent owner dismissed its patent infringement claim in view of the Federal Circuit's affirmance of the PTO's invalidation of the patent. With FYEO's counterclaims still pending, the case settled with a payment by Calgon to FYEO of $4.3 million. Another defendant, Mark Schneider, moved to Costa Rica before a final judgment was entered against him and his company, PCC. The Northern Illinois District Court found that PCC fraudulently transferred its main asset, the right to $382,000 in payments from the Home Shopping Network for sales of competing jewelry boxes, but denied relief. On appeal the Seventh Circuit, Wood, J., found in favor of FYEO, paving the way for FYEO to recover the $382,000 sought. Snap-Saver LLC v. Rubbermaid (E.D. Wis. Judge Shabazz). McDonald was lead trial counsel for the plaintiff, then a small company and the exclusive licensee for a patent on a food storage system involving lids that connect to bowls. Plaintiff brought the case against Newell Rubbermaid and Rubbermaid Inc. Following a favorable summary judgment decision regarding infringement, and on the eve of trial, the case settled. The confidential settlement included a consent judgment in which the patent's validity was conceded. Rubbermaid's Premier and Easy Find Lids product lines were involved. The case was filed in the Western District of Wisconsin, one of the nation's fastest jurisdictions for patent cases. SoundBite Communications Inc v. Universal Recovery Systems, Inc. (D. Mass. 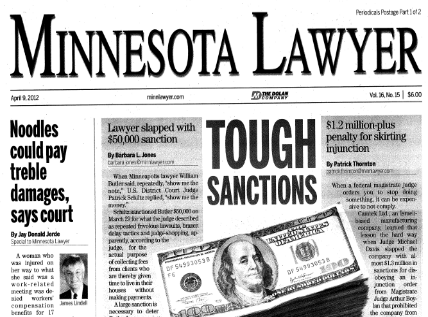 2007 (Judge Young) & D. Minn. 2008 (Judge Kyle)) Represented patent owner sued for tortious interference for sending letter regarding infringement received by plaintiff about to launch IPO seeking trebled damages of $60 million. Following countersuit for infringement and seeking to rescind statement of non-liability, case settled. Mostly Memories Inc. v. For Your Ease Only Inc. and QVC Inc. (N.D. Ill 2005, Judge Castillo) Represented defendant FYEO. Client was sued for 47 counts of copyright infringement and several related claims. During McDonald’s deposition of plaintiffs' president, the president recanted several allegations of the complaint which she had verified under oath. Plaintiffs' counsel stopped the deposition and promptly moved to voluntarily dismiss with prejudice all of the plaintiff's claims. When the district court initially denied our request for fees and dismissed our counterclaims without prejudice to refiling in Missouri, we appealed to the Seventh Circuit and won a reversal with instructions to award fees under the Copyright Act and reinstate our counterclaim. Mostly Memories, Inc. v. For Your. Ease Only, Inc., 526 F.3d 1093 (7th Cir. May 27, 2008). The Seventh Circuit found that For Your Ease Only was entitled to attorney's fees as the prevailing party even though the plaintiff voluntarily dismissed its claims. The case continued regarding For Your Ease Only's counterclaims and settled. Advantus Capital Management et al. v. Aetna, Inc., (0:06-cv-02855, D. Minn., Judge Rosenbaum). Represented plaintiff owner of ADVANTUS trademark for investment-related services. Motion granted for preliminary injunction to stop Aetna from using ADVANTUS for health plan-related services. Susan Maxwell v. J. Baker, Melville Corp. K-Mart, Meijer Inc., Pamida, Angel-Ettes of California, Dollar General, Family Dollar, et al. Represented individual inventor of patented shoe connection system used on billions of dollars’ worth of shoes sold at discount stores. Secured several licenses and settlements following litigation efforts over several years including two jury trials and an exceptional case finding leading to enhanced damages and attorney fees recovery. Malt-O-Meal v. Quaker and Rubbermaid (3-96-cv-104, D. Minn., Judge Magnuson). Represented plaintiff in tortious interference/unfair competition case. Following jury verdict (in excess of actual damages requested) of $9.2 million, and second trial resulting in $22.5 million verdict for punitive damages, the case settled favorably. PrimeVest Financial Services, Inc. (division of ING) v. Partnervest Financial Group, Inc. (0:05-cv-189, D. Minn., Judge Tunheim). Represented plaintiff asserting infringement of PRIMEVEST trademark. Following depositions of the executives of defendants, defendants agreed to stop using the PARTNERVEST mark and the case settled. National Graphics, Inc. v. Travel Tags, (04-cv-0023, E. D. Wis., Judge Adelman). Represented defendant in case involving five patents for digital imaging technology. 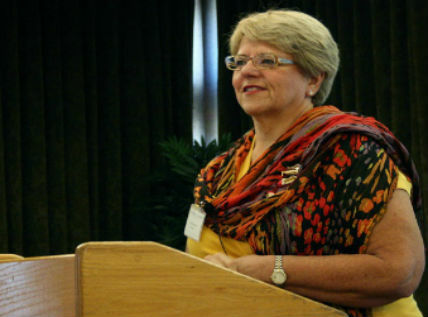 Case settled after Markman hearing involving special master. 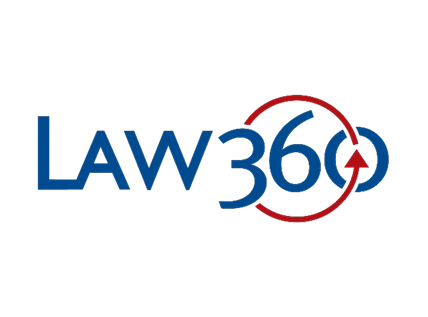 Protel, Inc. v. Gateway Cos., Inc. and Gavel & Gown Software (No. C 301-443, S.D. Ohio, Judge Rose). 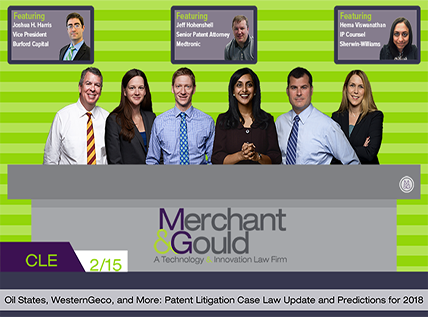 Represented defendants in patent infringement case involving software. Case resolved favorably following settlement and denial of plaintiff's motion to reopen dismissed action. Reg Oklahoma (later Advanced Card Technologies div. of General Patent Corp.) v. Taylor Corp., (No. Civ-02-981-T, W. D. Okla., Judge Thompson). Represented defendant in patent infringement and trade secret case involving two patents on phone cards. Case stayed pending reexamination in which all reexamined claims of the original patents were rejected, eliminating past damages. After stay lifted, case settled following deposition of inventor regarding declarations filed at PTO. Jeff Anderson and www.mnschools.com v. Advanced Access, Inc., et al., (03-2908, D. Minn., Judge Rosenbaum). Represented defendant in copyright infringement case involving website framing. Case settled during summary judgment motion hearing. B.F. Goodrich and Rosemount Aerospace v. Auxitrol SA. and Esterline Technologies (00-cv-43, D. Minn., Judge Davis). Represented plaintiffs in trade dress case involving total air temperature sensors for jets. Defeated motion to dismiss for lack of jurisdiction despite no sales of infringing product in forum state. Case settled favorably. Compression Labs v. Jasc Software et al. (2:04-cv-158, E.D. Tex., Judge Folsom). Represented one of several defendants in patent case involving image compression technology. Case settled favorably. M.I.T. v. Jasc Software et al. (5:01-cv-344) E.D. Tex., Judge Folsom). Represented one of several defendants in case involving color printing patent. One of three counsel presenting argument on behalf of dozens of defendants at Markman hearing. Case settled favorably after Markman hearing. Also represented Calvin Klein Cosmetics Corp.'s OBSESSION perfume and Major League Baseball/Minnesota Twins in matters involving preliminary injunctions and Temporary Restraining Orders (TROs) including John Doe TRO during World Series. 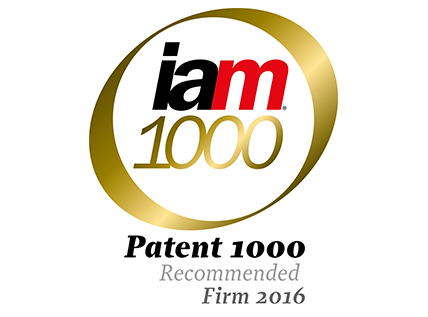 Represented client regarding 50+ patent portfolio of Ronald A. Katz Licensing, LLP, related to automated telephone answering systems. Lead counsel in software license dispute in ICC arbitration for Canadian software company and Japanese distributor. The (British) Post Office vs. Portec Inc., (D.Col. Judge Finesilver, trial conducted by Judge Seay of Oklahoma, sitting by designation). Represented plaintiff in trade secret misappropriation jury trial against Colorado-based defendant in Colorado. Judgment entered on jury award of $1.5 million+ in compensatory and punitive damages. Court also awarded attorney's fees as "exceptional case." Appeal remitted part of punitive damages award as excessive, and affirmed all other aspects of award. 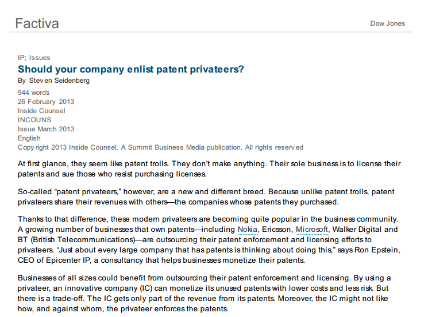 Should your company enlist patent privateers? Click here to read article in which Dan McDonald was quoted. 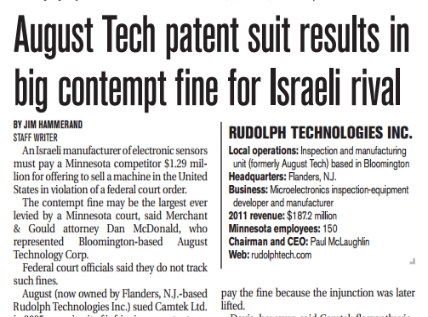 Click here to read article published in the Minneapolis St. Paul Business Journal discussing the recent victory for M&G client, Rudolph Technologies. 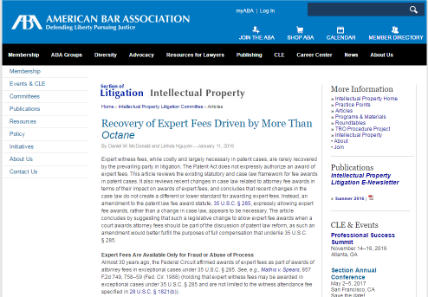 Click here to read article co-authored by Dan McDonald and Joe Lee appearing in Executive Counsel. 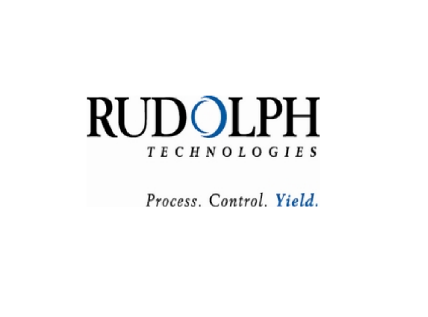 Merchant & Gould Scores Patent Litigation Victory for Rudolph Technologies, Inc.
Click here to read article by Dan McDonald in Upsizemag.com.